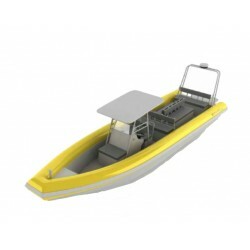 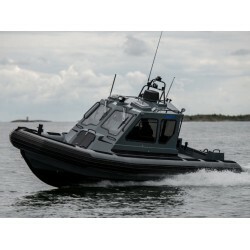 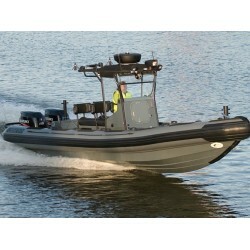 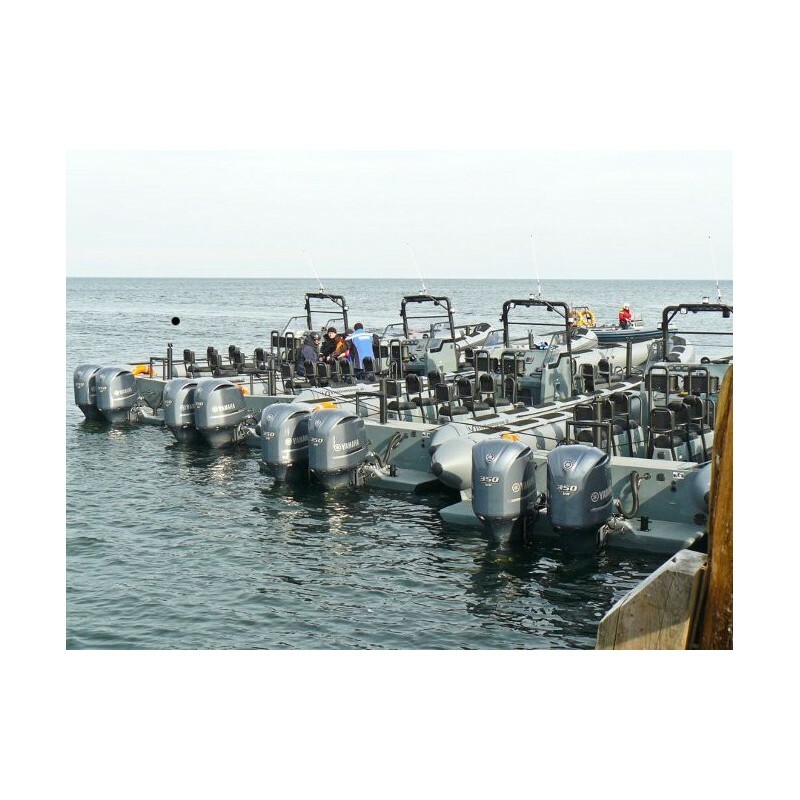 It can be supplied in a variety of configurations and specifications but all variants are based upon a standard ruggedized hull platform offering the client the benefit of economies of scale, inter-changeability of key components and systems and consistently capable performance, handling and sea-keeping characteristics. 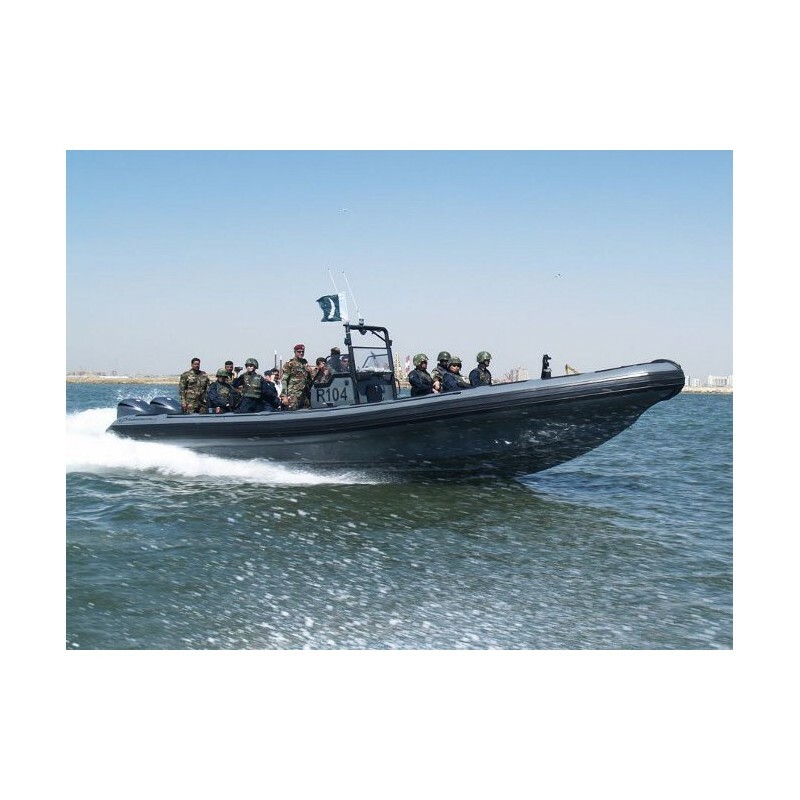 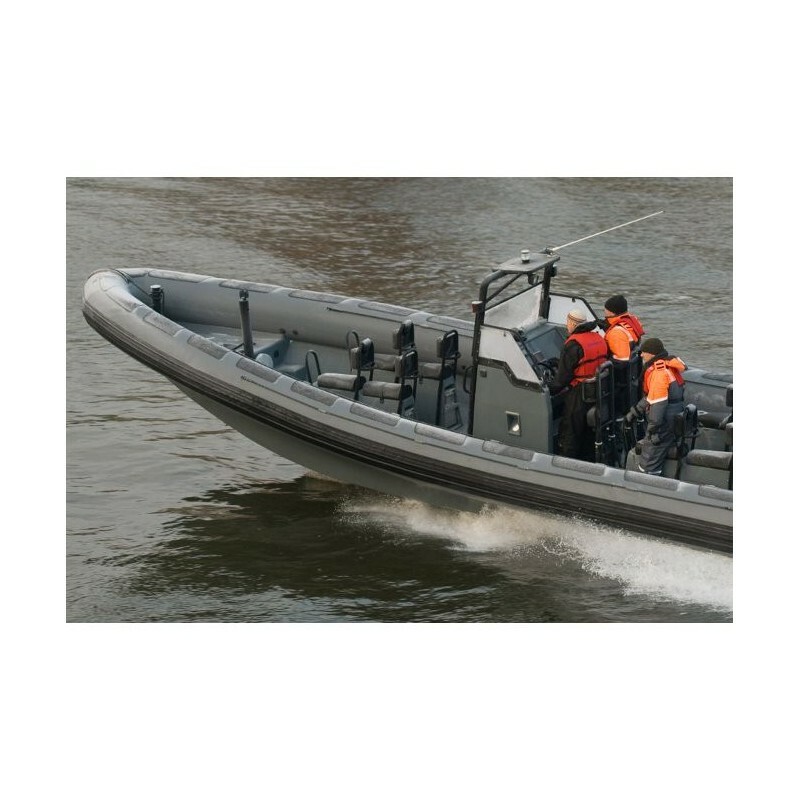 The vessel hull form follows an exacting design evolved specifically for military and other professional users and is deliberately built “over-strength” to guarantee that it will withstand punishing use throughout its service life. 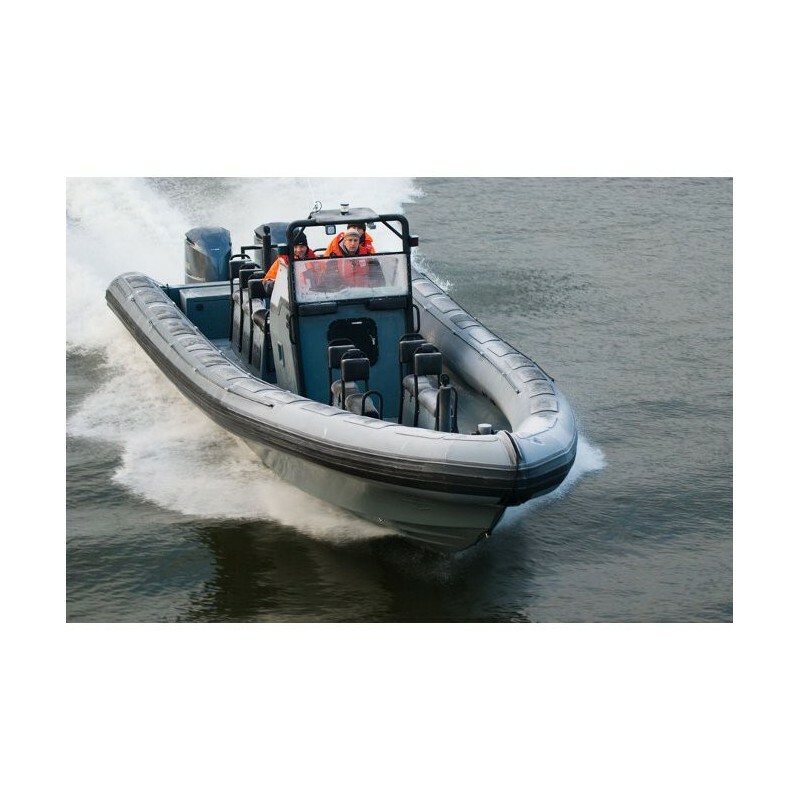 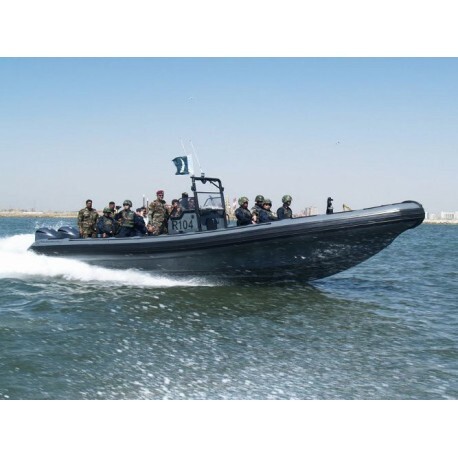 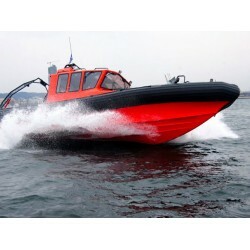 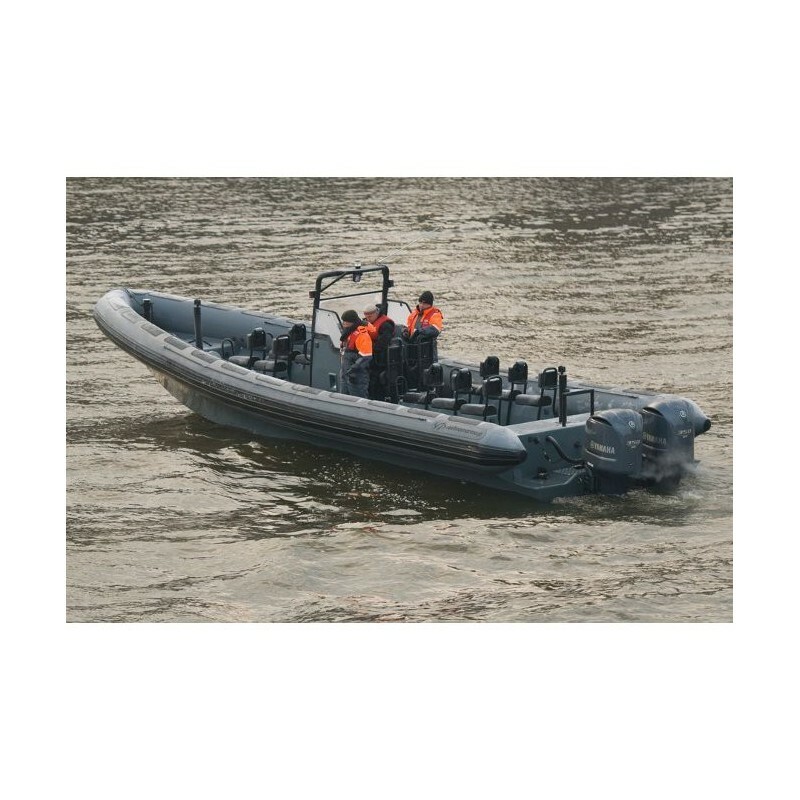 Our vessel designs are continually reviewed to ensure absolute client satisfaction and we view client feedback as one of our most important tools to ensure reliability and operational effectiveness. 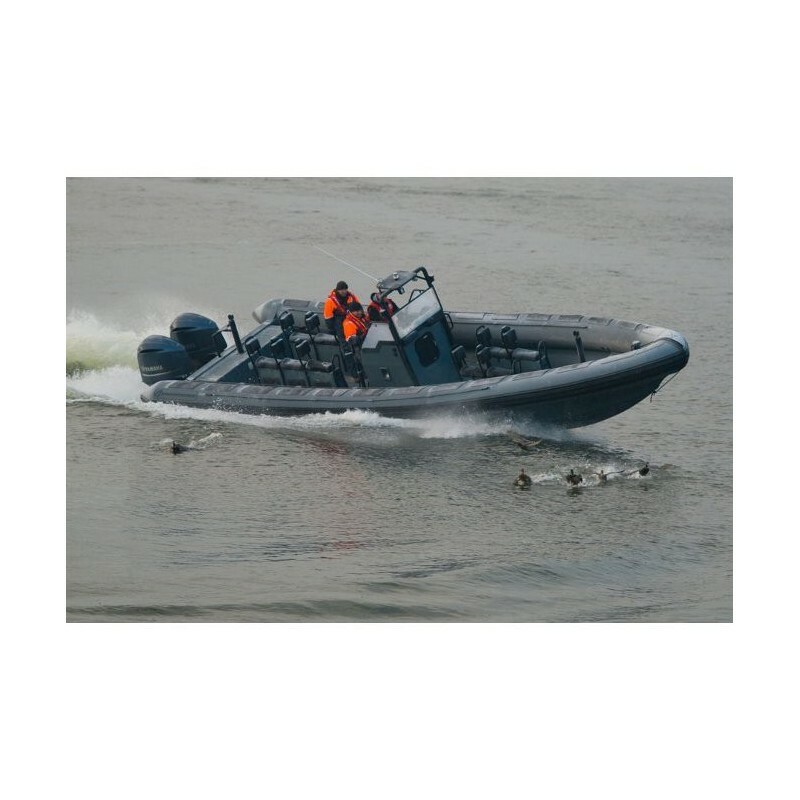 Operationally proven self draining “deep V” interceptor hull with extra robust GRP solid skin and GRP internal stiffeners. 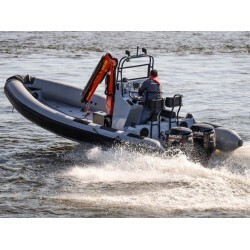 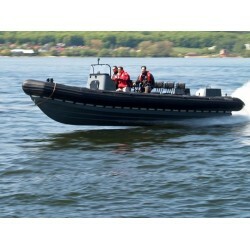 Heavy Duty S/S towing and lifting U-bolts on transom and bow and working platform over sterndrives. 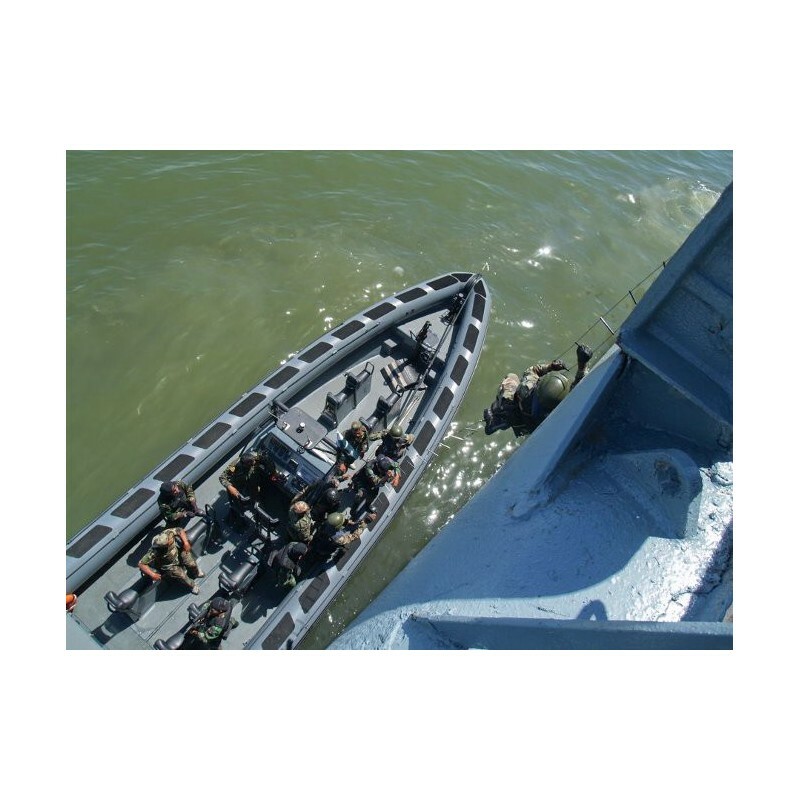 Safe self-bailing working deck area comprising GRP sandwich construction with wear resistant anti-slip surface. 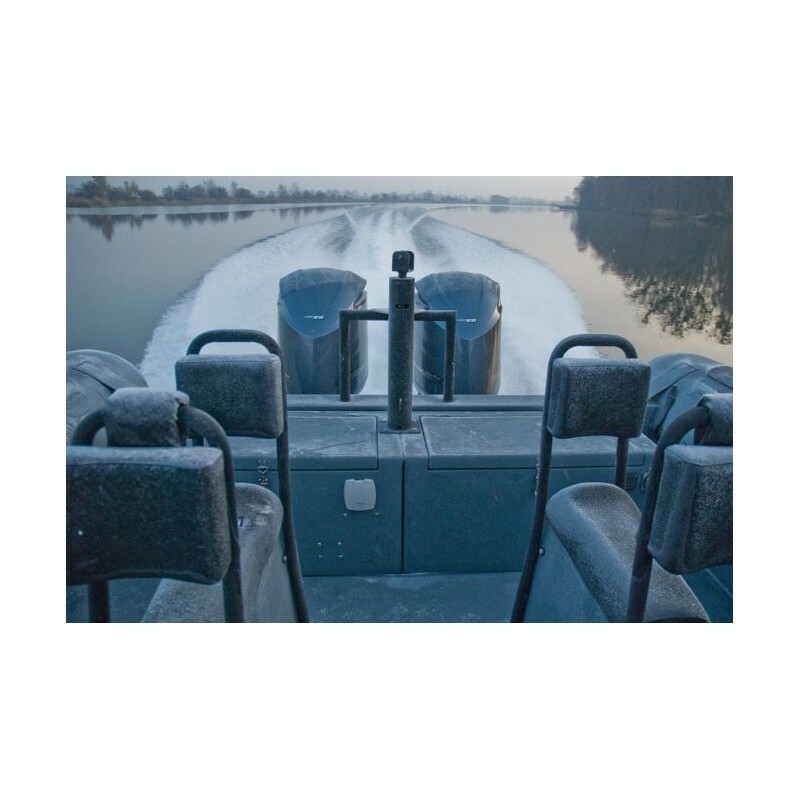 There are two cleats/mooring points at stern and heavy duty mooring post on bow. 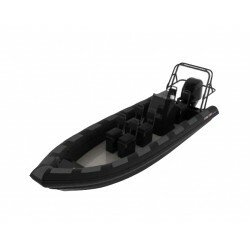 A variety of welded S/S handrails can be fitted where required. 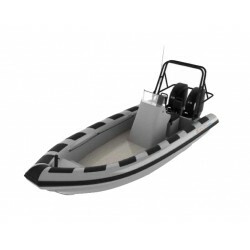 The large engine-room hatch gives you easy access to service items and it also includes an anchor locker and aluminium deck hatches. 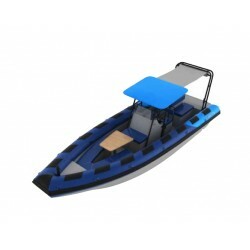 If you would like to hoist this boat, it has a four point hoisting system. 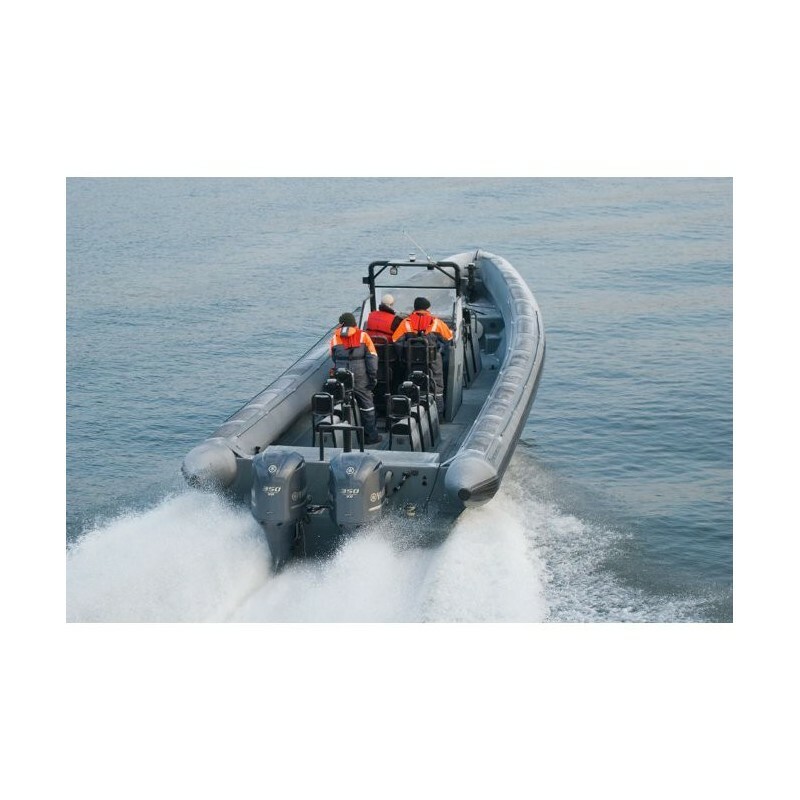 Heavy Duty Hypalon® 1670 dtex with added anti-slip rubber protection patches, three lines of protective fendering and separate air chambers with inflation and pressure relief valves. 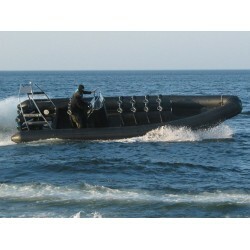 Will be of a small integrated bridge management system as seen on larger ships. 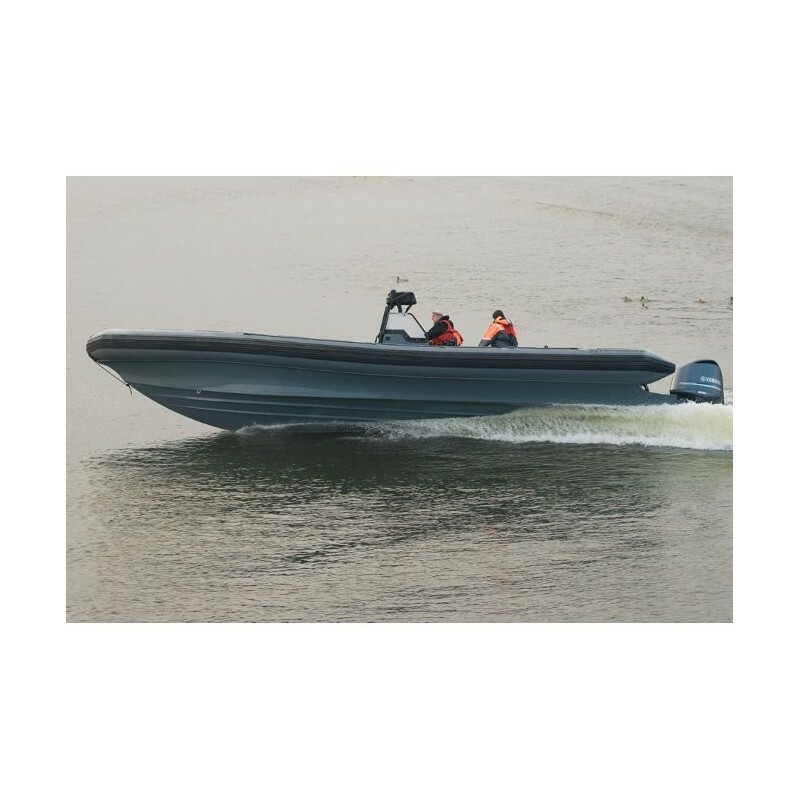 The displays will be larger (15 inch) than the ones of the open boats and there is no need for water proof equipment, which will have its effect on pricing being lower than for the open boats. 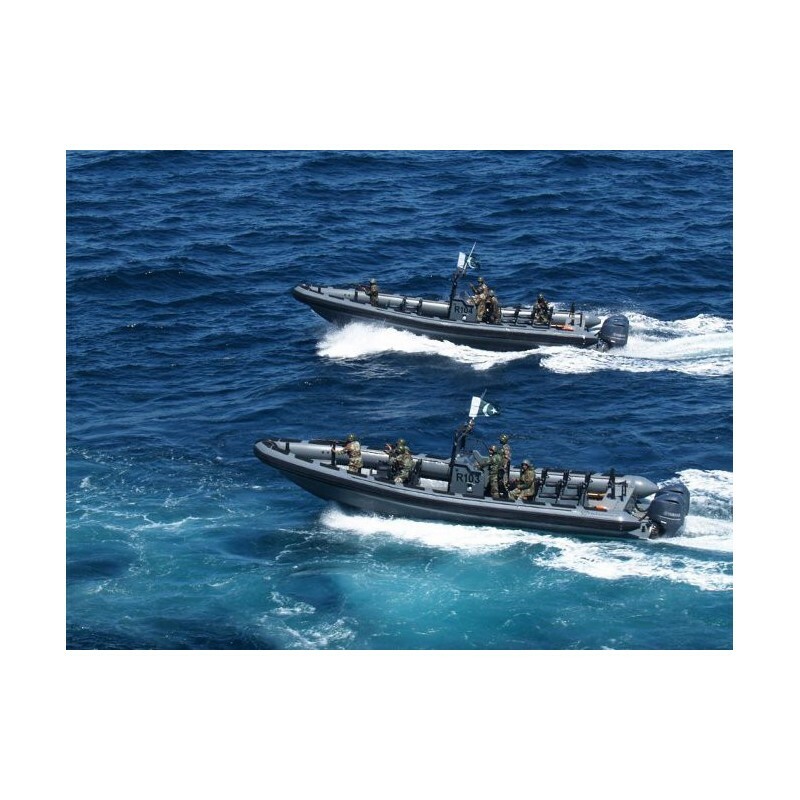 Combination standing/sitting seats for helm and navigator, shock absorbing Jockey Seats with stainless steel backrest for embarked troops with equipment stowage under all troop seats. 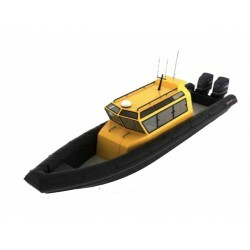 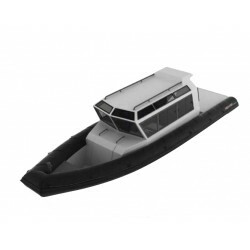 Stainless steel fuel tanks, navigation lights, work/deck lights, engine-room lights, heavy duty batteries with splitter switches, automatic bilge pump system, manual bilge pump.